or another option to start from seeds yet more challenging. Growing information: perennial or in cold climate as annual plant, growing hardiness zone: 10b+ (perennial), 5-10 (as annual), water needed – average amount, light conditions – full sun, height: 0.6-1.2 m, 1-4 feet. 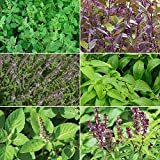 African blue basil for sale – When is the best season to buy African blue basil? 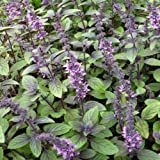 What need to know before buying African blue basil? 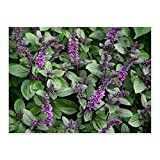 Should buy African blue basil in the spring it’s the season to plant, need to know before buying that in its perennial shrub‎ but can grow as annual in cold climate, need rich soil and warm weather, better grow in less than full sun (better not to have so much flowers), and average amount of water.